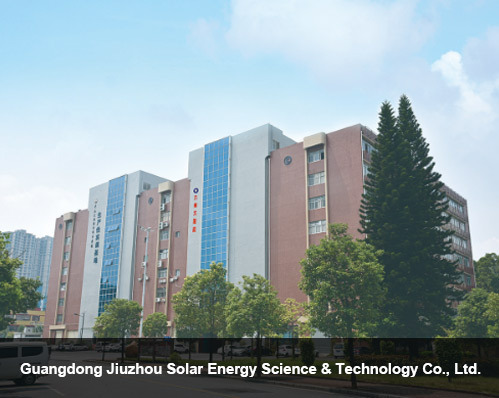 Guangdong Jiuzhou Solar Energy Science &Technology Co., Ltd. is a national high-tech enterprise specializing in the integration of R&D, production, sales and after-sales service of solar PV application system. 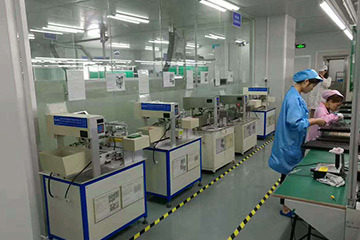 The main products are solar PV power system, green electricity storage generator, solar LED street light, lithium-ion battery pack for energy storage, intelligent PV power supply system,smart city construction,all of which have been widely used in municipal transportation, new rural construction, coast defence, remote areas,tourism, navigation and other fields. 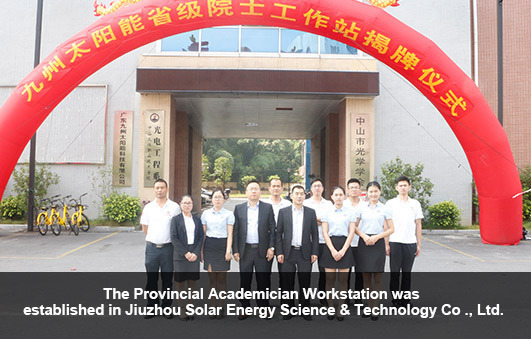 In order to optimize our company’s management and develop the production demonstration bases, Jiuzhou established Jiuzhou PV Energy Storage Academician Workstation with Peking University and Qin Guogang, the academician of Chinese Academy of Sciences. We also co-constructed University-Industry-Institute Base with Zhongshan Torch Polytechnic, South China Normal University Optoelectronic Materials Research Institute, Guangdong Polytechnic Normal University and Jilin University. 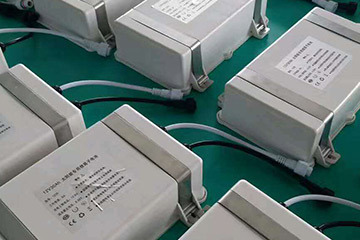 Jiuzhou has passed the ISO9001,ISO 14001 and OHSAS 18001 authentication, was one of the companies who wrote the Safety Certification Rules for Lithium Ion Battery of Solar Street Lamps and The Acceptance Specification of PV and Building Integrated Power Generation System.Furthermore, Jiuzhou obtained The Construction Enterprise Qualification Certificate. 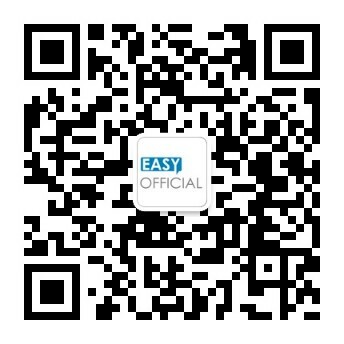 Our products are sold well in America, Europe, Southeast Asia, Mid East, Oceania and Hong Kong, Macao and Taiwan. Across the globe, the projects we undertook include: Chinese Photovoltaic poverty alleviation, PV Rooftop Plan in Jiang xi, One Project One Discussion New Rural Construction in Guizhou and Inner Mongolia, Beautiful Villages and Countryside in Guangxi province, and rural solar street light project in Boston, United States. Jiuzhou is in line with the principle of Scientific and Technological Innovation, Excelsior, people-oriented. Adhering to the tenet of Customer First, Integrity TOWIN, we provide high-quality products and services for the public, which brings environmental protection,low carbon and fashionable life experience and help realize low energy and pollution-free living environment for individual, communities and public institutions. 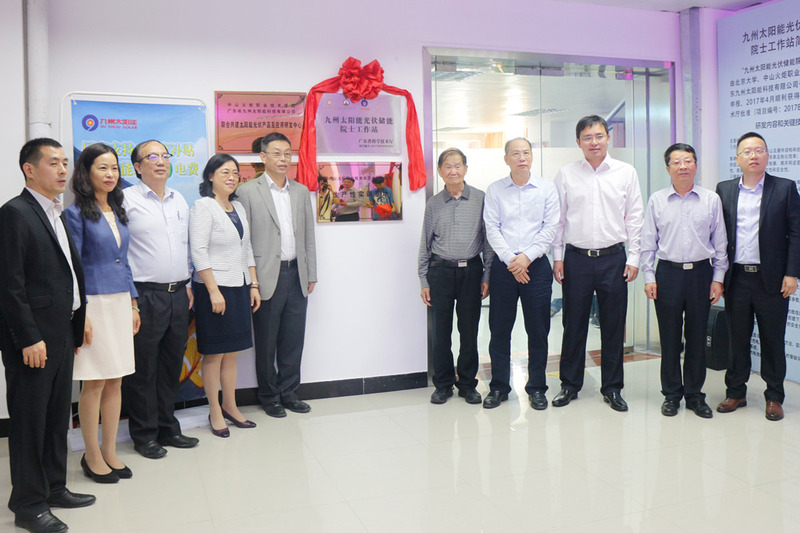 On October 21, 2014, Guangdong Jiuzhou Solar Energy Science&Technology Co., Ltd. was established. In January 2015, we passed the ISO9001 (Quality Management System Certification) successfully. 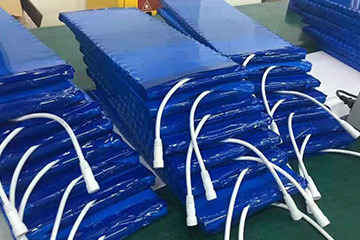 From 2014 to 2017, the solar street lighting panels, controllers, batteries, lamp rods, LED light sources and other products produced by our company had passed the certification and inspection of CPVT, CE, FCC . 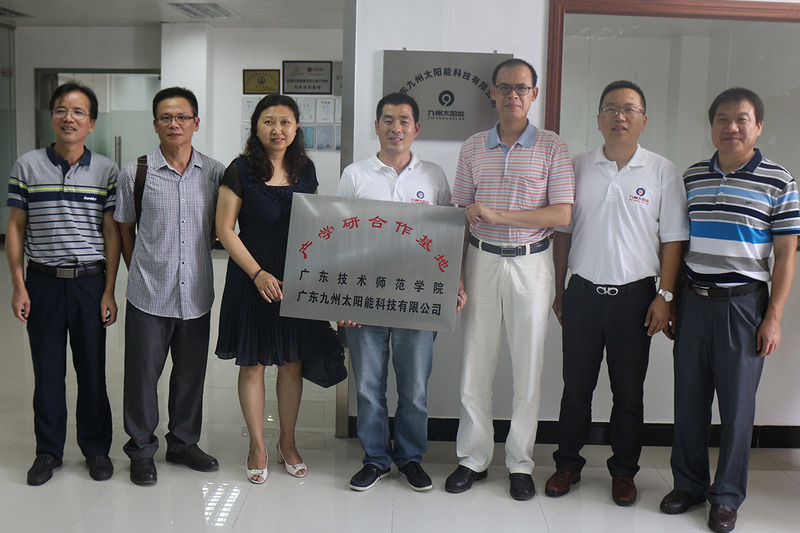 In June 2015, we signed the cooperation agreement of Graduate Student Union Training Base with South China Normal University Optoelectronic Materials Institute. In September 2015,we signed a cooperation agreement with Zhuhai College of Jilin University for the Automotive Indoor Solar Automatic Ventilation System Industry-University-Research Cooperation. In October 2015, Guangxi branch was established. In January 2016, we successfully passed the ISO14001 (Environmental Management System Certification). In September 2016, we signed Global Strategic Partner with Yingli Solar. 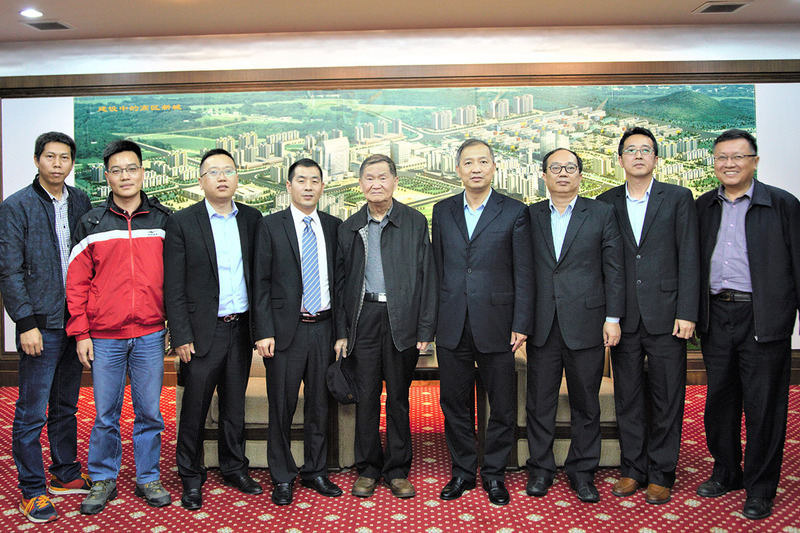 In October 2016, we signed the Demonstration Base of Science and Technology Collaborative Innovation Industry-University-Research with Guangdong Polytechnic Normal University. In October 2016, we received an exclusive interview with CBC (Canadian National Television). In November 2016,Heyuan branch was established. In December 2016, we successfully passed the OHSAS18001 (Certification of Occupational Health and Safety Management System). 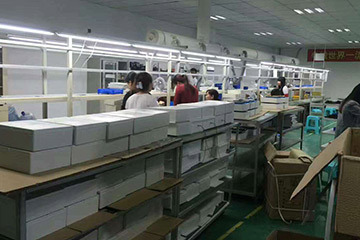 In December 2016,we obtained Heyuan PV Poverty Alleviation Project Operator Qualification. In December 2016,the Committee of Guangzhou International Photovoltaic Exhibition organized the 2016 Pan-Pearl River Delta PV Development BBS, and Jiuzhou Solar won the award of Excellent Photovoltaic Power Station Construction in the year. In April 2017,Shanxi branch was established. 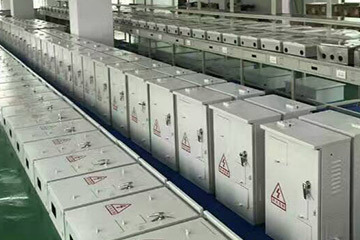 In April 2017,we declared to set up Jiuzhou PV Energy Storage Academician Workstation with Qin Guogang,the physics professor and the doctoral supervisor of Peking University and the academician of Chinese Academy of Sciences.After that,the application was approved by Department of Science and Technology of Guangdong province. From 2015 to 2017, we had received more than 50 batches of guests from the Ministry of Education, the leadership of Zhongshan Municipal Party Committee and Special Envoy of the President of Madagascar in Jiuzhou. 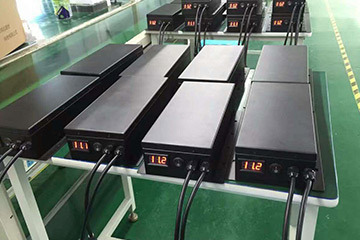 In July 2017, we mainly participated in the compilation of Safety Certification Rules for Lithium Ion Battery of Solar Street Lamps formulated by the China Quality Certification Authority, which was officially promulgated on August 18,2017. In September 2017, Chongqing branch was established. In October 2017, our company was successfully approved by the Ministry of National Housing and Construction, "third-level qualification of urban and road lighting project". In January, 2018, we won the "annual excellent lighting brand of the world lighting industry in 2017" and "the top ten news events in the world lighting industry in 2017". In March 28, 2018, at the "Attracting Investment and Intelligence Fair" in Zhongshan, Jiuzhou Solar Energy Storage Academician Workstation was signed as a key project. In April 2018, Yunnan branch was established. In December 2018,we successfully passed the "high-tech enterprise"certification. InJanuary 2019, we was awarded the "2018 Intelligent PV Application Demonstration Project of Guangdong Province"and “2018 Intelligent PV Products of Guangdong Province" . In January 2019, it was approved by the Ministry of National Housing and Construction for the “third-level of electrical engineering construction”.